The cold and flu season is now here! If you haven’t yet been effected, there’s a really good chance that friends and family members have experienced one or the other, according to recent reports from the CDC. Dentist in Newberg Dr. Jennifer McLeod and her team at Newberg Family Dental want to share these helpful tips for protecting yourself against the cold and flu. One of the best ways to stay healthy during cold and flu season is through prevention. It’s important to take good care of yourself all year long in order to naturally fight the germs that cause cold and flu. One of the best ways to do this is to keep scheduled annual appointments with your doctor. A yearly physical helps both you and your doctor keep a good baseline on your health. This appointment can also help keep you focused on your personal health goals, like maintaining a healthy weight and eating a diet that’s rich in vitamins and minerals. Another important appointment to keep is the one you make with your Newberg dentist, Dr. McLeod. Generally, these appointments are scheduled every six months, but may be more frequent depending on your personal needs. These teeth cleanings and oral exams help Dr. McLeod and her team establish a baseline for both your dental and overall health. Combined with a diet that’s rich in whole foods and plenty of water throughout the day, these supplements can naturally help you fight the cold and flu before it begins. Vitamin C – Commonly known to help prevent cold and flu, vitamin C produces more NK cells and T cells in the body, which protect against viruses. Vitamin E – Antibodies destroy harmful bacteria, and additional vitamin E can help the body produce them. Zinc – Easy to find and to take in a supplement form, zinc is well-known for improving the way white blood cells fend off infection. Additional supplements include Omega-3 Fatty Acids, Selenium, Carotenoids and Garlic. Generally, a flu shot is recommended for children and those with compromised immune systems. However, the flu shot is available to the general public. Consider getting a flu shot as one more way to protect you and your family against the cold and flu season. Here’s a map to help you find out about the flu shot as well as what’s offered in your local community. 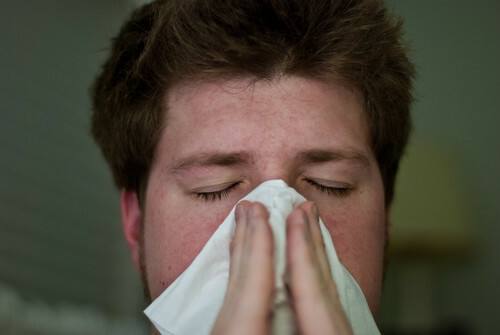 At Newberg Family Dental, we want to see our patients and their families stay healthy during cold and flu season! Call us at (503) 538-7717 for your appointment today.